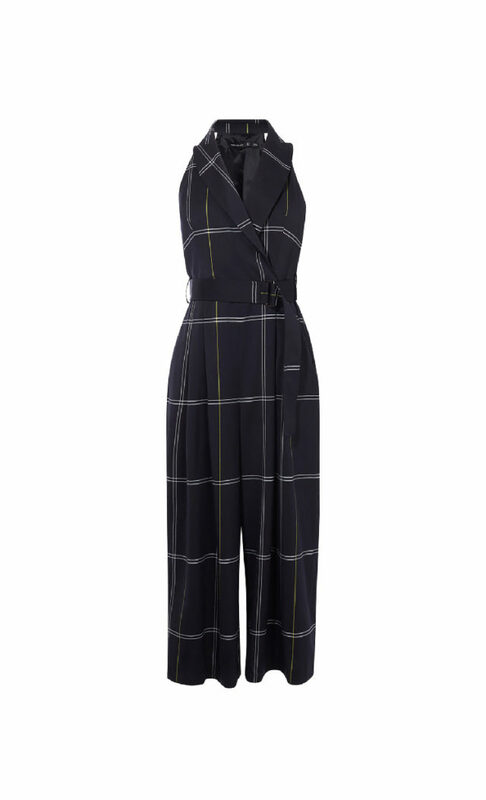 For the days you just can’t face your pencil dress, this jumpsuit is just as smart. Made with peak lapels and an in-house designed check print, the fitted belt pulls in your waist. So you feel your best all day long.